Doing this blog and the projects featured in it has been so much fun for me. And since the name is The Turquoise Piano, I decided that it was time to really feature my piano. Here is the before. This was the actual picture from craigslist, where I found it. I think they listed it for $100 and I emailed and told them I would give them $50 and pick it up if they were interested in that offer. They were so I got my crew (my husband, brother-in-law, and we hired a neighbor handy man) and sent them on their way to pick it up. The handy man had the truck and trailer so with his time, gas, and the mode of transportation, we gave him $50. That takes the total to $100. When it arrived at my house I started the redo by sanding. Disclaimer: I had/have no clue how to really redo a piano, although I'm sure I could google it and learn in point-two seconds. I have a friend who took hers apart and did everything, but come on, this had only cost $100 by this point so I didn't think there was a problem in figuring it out by myself with the piano all together. Next I took a bucket of primer that was left over from our house and I covered the piano with it. I do like it white. If I had an all-white living room, this would be the piano. Next was the paint for the piano. Previously I had been jogging through this neighborhood and I came across a garage sale where they were selling used paint. I snatched up a can of off white for $2. It was from Lowe's so I took it over to them and asked if they could make it as close to one of their turquoise swatches as possible. The color that came out was this amazing Tiffany blue. I love love love it! Seriously. The exact color of the Tiffany & Co box! So I painted the piano with the $2 turquoise garage sale paint. So now we're up to $102 for this awesome piano. Pretty great deal, huh? Then I drove on over to Joann's and bought some white vinyl material to cover the bench. It cost more in gas to get there than the actual material with my 50% off coupon. I think material for the bench was $2. This is that white mirror above the piano (see bronze/gold mirror below). You can't see but it had a huge chunk taken out of it (it's plastic). I really liked it though so I bought it for $5 and fixed it with a combination of shims, hot glue (like a whole glue stick) and wood filler. Then I painted it white and hung it above the piano. If you go back and look at the finished project you will see three milk bottle vase things. I love them and I got them at the thrift store or garage sales for $.75 each. The other white statue was a gift. Grand total of the piano area -- $111.25. Then I got the piano tuned and some of the sticky keys fixed, which cost about another $100, but that's maintenance so it doesn't count. You can click on my youtube link to listen to me play Jessica's Theme from The Man From Snowy River if you want. Disclaimer: this was before the piano was tuned and finished, so if you are sensitive to pitch and stuff, sorry. Disclaimer #2 -- I have the talent that should be playing a $100 craigslist piano, not a $25,000 baby grand. I think you get the point. I'll be linking up at the great parties at the bottom of the blog. (If it is your party and you are not okay with the bottom of the blog, please let me know and I will put yours below). I never would've considered doing that to a piano. It's so clever! I'm glad I found your blog and this piano makeover because I have an old piano in my basement. It's just sittin' there in storage. You have inspired me to paint it. Can't wait to get started! Visiting from Between Naps on the Porch. Wow! that had to be a ton of work, but the result is fantastic! I LOVE the color, be still my turquoise loving heart! Too funny! And it looks fun to play! Nice job!!! Do you sand it all by hand or do you have a power sander? 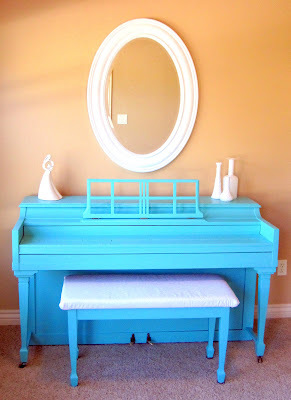 This is my first time to your blog and what drew me was the turquoise piano...what a stunning job. My daughter had a piano and I was going to paint it white but I love yours....it is just stunning. Does the paint have a number? I am also going to sign up as your newest follower. Once I figure out where to put one, I plan to get an old piano and find a bold fun color for it. Love your turquoise one. it's beautiful and bright and fun! This is my first time here and that Turquoise Piano is just lovely! Found you on Transformation Thursday. 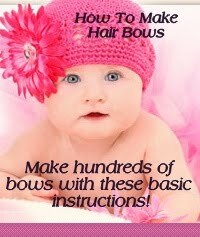 Great ideas and super cute blog! Wow! I love this and LOVE the colour of it!! :) Great job! That is AMAZING! I bet it's a huge conversation piece in your home. I never would have thought to paint a piano! I love how yours turned out! I love it and the color is absolutely stunning! I am getting ready to paint my piano. I hope it turns out half as gorgeous as yours! Thanks for linking. Stunning! Thanks for linking to Wicked Awesome Wednesday! Ha! I love it. We must be kindred spirits! You should see my Pear Green piano... If it's ugly, paint it, I say! You are brave and awesome. My favorite color! My, you are industrious to undertake a job like this. Your hard work certainly paid off as you have done a beautiful job and have a unique piece! I want a piano!!! This will have to be a project soon in my house!! Gorgeous! I'm dying for a piano. Hope to see you at my linky party going on all weekend! Oh this piano is it! I just love it. I loved that Snowy River movie and that song too. Thank you for linking with Home Sweet Home! Wow, amazingly awesome job :)) Great creativity...I found ya per blog hop and had to stop in and say hello..Officially following ya via http://theartsygirlconnection.blogspot.com ..Hope you can stop by too :)) .Ty..
wow! I'm impressed! You did a fabulous job. Thank you for linking up and linking back to my blog! I'm "catching" you this week! I've seen this all over the blog world! This is a true show stopper. Amazing, amazing, amazing job! WOW!! I never would have thought to paint a piana (especially such a bold, bright color) but that looks AWESOME!! Now I wish I had an old piano to paint. ;) Great job!! Hope to see you there! It's open all week! Wow, it looks amazing! 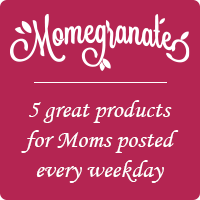 I am visiting from Sugar Bee Crafts and I am a new follower! OMG I love this piano!! I think it might be one of my favorite things ever!! wow. this is amazing! that would inspire me to play every day! :) great job. love the color. GORGEOUS! Maybe someday I'll have the guts to paint my piano! Thanks for your inspiration! Love your piano! I now have the itch to go craigslisting (verb?) for a piano! I am in love!!!! I love how you got just the right color too! I am going to have to keep that in mind! Talk about thrifty---I am all about that! Great inspiration!!!!! Thank you so much for linking up!!! Wow, I never thought of doing this! I have an old piano that would look soooo much better with a fun new paint job like this! Have just discovered your blog..the piano looks amazing..so does your loveseat reupholstery. Now following you. Your piano is beautiful and your playing is equally beautiful! I know because I listened to it on You Tube. Beautiful! We currently have a digital piano--not sure I could get away with painting it. But I love what you did with yours! Your piano is gorgeous! You did a beautiful job! I really enjoyed reading this post! You made it fun!! Thanks for stopping in at Cranberry Morning and becoming a follower! That came out so great! Awesome work. Following you from Funky Junk. 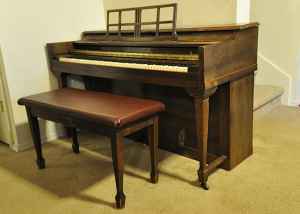 I have been in search of a craigs list piano ever since I first saw yours! I LOVE IT!! =) Love your blog!! Wow! Love the piano! Great Color, I have seen many done in white, yours is wonderful! Great Story! Just wondering if you had any trouble getting the Lowes people to color your paint? I just tried to get them to re-color a $5 gallon mistint that was a very light beige color to a medium grey/blue. They said it couldn't be done, it would ruin the paint, it wouldn't stick to my walls, it was the wrong base, etc, etc. So frustrating! I finally left without buying any paint at all. Is it really that complicated, or was it just because the Valspar rep was there? Hi Holly! I had no trouble getting the people at Lowes to change my paint. Maybe the paint you were trying to get was wrong, but if the Valspar rep was there I would guess that the workers were just trying to not make him mad or whatever. If you have another Lowes in the area, try that. Or go back another time when different workers are there. Good luck! Thanks, Susie! That's so nice. :) Made my day! Yuck! Bad taste in color (for piano), but wonderful work! I would have left it white. Look a lot better! Who says stuff like this on someone's blog? Really? You probably like forest green and I hate it so it's totes your opinion.